If you visit Mozambique you will see that big business is not going to ‘feed Africa’. Hazel Healy writes about all the land that is being taken. Before 7am there are many groups of workers along the road. The people of Chiure district in rural Mozambique start walking before it gets too hot. Big groups of children walk along carrying tools; women walk more slowly with babies tied to their backs, carrying large bundles on their head, holding the hands of their little children. It’s difficult to see where this long line of people is going at first. Then, if you look closer you see metal going up and down in the fields; you see part of a headdress in the grasses. 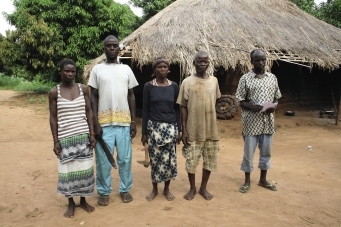 People say the land used by small-scale farmers like these is ‘under-used’. The state – which legally owns all the land – said there was seven million hectares to sell, so investors have bought 2.5 million. Mozambique has been one of the ‘top 10’ countries for large-scale land agreements since then. There have always been fights about resources. But very large areas of the Global South are being sold to private owners as quickly now as in colonial times. But he people are different now. Modern day “landgrabbers” (people who buy a lot of land) are varied: the Saudis want to raise chickens and grow crops in Sudan; Asians want to produce palm oil in the forests of the Philippines; the finance companies from London and New York have bought into El Tejar, which has farms of 800,000 hectares in South America. Many companies from India and South Africa, which are growing so quickly, are buying land, and many Western companies too. There are agricultural agreements all over the world from South Asia to Latin America, but the most powerful ‘empty land myth’ is in Africa. In Mozambique, the fight to take more land is happening at the same time as great economic growth, so the land rush is getting faster and faster. In Chuire, in the northern province of Cabo Delgado, investors are looking for agricultural land for everything from bananas to biofuels. Sandrina Muaco, one of the six per cent of Mozambicans who live to be older than 50, is smoking a maize cigarette. She and 170 other families lost their land to a large group of companies – foreign and national – who want the fertile fields near the Lurio River. Muaco had six hectares of cashew trees, but these were cut down for Eco-Energia de Moçambique’s Ouroverde (Greengold)’s factory to process sugar. People in villages here, like 80 per cent of Mozambicans, need agriculture to survive. But Muaco wasn’t a subsistence farmer. Her area was four times bigger than the average area of land. Eco-Energia – who a land expert described as ‘one of the better companies’ – paid $664 to Muaco for losing her trees and house. The trees were cut and the house was destroyed to make space for the sugar cane plantation. But two years later, the money has gone. She bought a new home, a sarong and rented some old land nearby to live by growing a little cassava and maize. ‘I lost everything,’ she says. The chairman of Eco-Energia’s parent company is Per Carstedt from Sweden. Before, he was CEO of the most important importer of bioethanol in Europe, SEKAB. He wants to make the polluting transport systems of the industrialized world cleaner. He is using African land in Tanzania and Mozambique to do this. 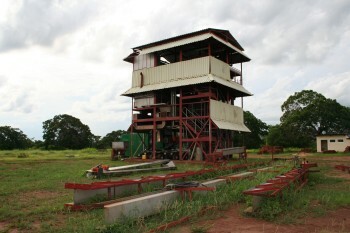 The Eco-Energia Ouroverde sugar factory, not yet used, where Sandrina Muaco's cashew trees grew before. Ouroverde has used at least $1.3 million so far (50 per cent from Dutch government private investment) and has the right to use 1,000 hectares for the next 25 years. In the future, Eco-Energia wants to expand to 30,000 hectares, export organic sugar to Europe and produce bioethanol. It’s a very good example of what the Journal of Peasant Studies says is ‘green-grabbing – or ‘taking land and resources to help the environmental’. ‘We were very surprised,’ says one woman. Her land has to support nine grandchildren. ‘The first thing we heard was when they told us to go to our fields and paint the large trees [for compensation].’ She says the chef de aldea (lowest ranking government official) is responsible for giving away her cashew, banana and mango trees. Now she rents a small area of land. It takes half a day to walk there from her house. Her muscles hurt so much, she can only farm on alternate days. Other people in the village say the money they got for their land was unfair. No-one understood how they decided how much to pay, and some families got no money at all. Eco-Energia said by email that they have not finished the compensation process, and they have received no complaints. It also says that everyone knew what would happen and agreed to this. But the villagers did not know what they were agreeing to. Traditional leader, Martiño Silva thought it was a four-year agreement. The plantation has created jobs, but villagers say these are only ‘good for young men’. In other areas of Chiure, they have stopped people from the village going into the forests. A German mining firm Graphite Kropfmühl has closed off forests around many exploration sites. Suddenly, farmers could not get to things they needed for food and health: wild tubers and beans, hares, guinea fowl and small deer, firewood, bamboo and medicinal plants. The stories from Chiure are the same all over the world. 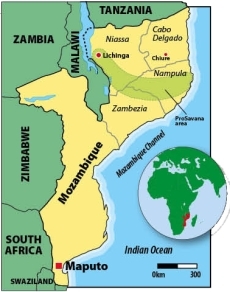 The land that is sold was not ‘empty’, even though Mozambique has a low population density. Investors want the land, but so do local farming communities. These communities are forced to move to areas of bad land. Women in particular, lose. If the companies consult the local people, the power is not balanced and many people cannot get information. The new jobs on plantations are not enough sufficient – in salary or security – to replace the land they have lost; and the compensation is not enough. 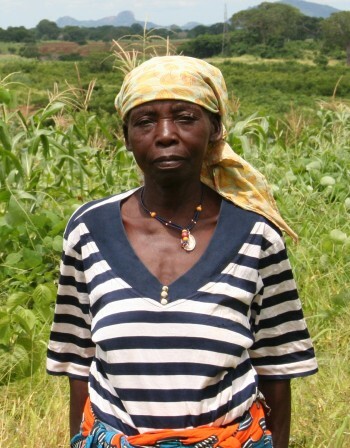 Land activist Diamantino Nhampossa says: ‘The people are being cheated.’ Investors can be motivated by wanting to improve the area, help the environment, or make a profit – or all three – but the result can be bad in all cases for the people forced to leave their land. The logic of the free-market logic says that it is necessary (but unfortunate) to force the farming communities to leave their land. We need more productive farms to produce the food the world needs. But even the World Bank – who often support large land deals – agrees that no research has said that to large-scale agriculture in Africa is a good thing. In fact, it is not very successful. A land expert tells me that he does not know of any successful farm over 1,000 hectares in Mozambique, except sugar – all the other farms have failed. But this has not stopped new and bigger companies from buying land. Last May, the group of G8 nations started the ‘new agreement for food security and nutrition’. This proposes using very big companies like Monsanto, to end hunger in Mozambique and five other countries. Writer Joe Hanlon says the G8’s first act of charity was to subsidize (help with money) grain company Cargill to take over 40,000 hectares of Mozambican soil (they got 10,000). Agribusiness says that these investments are good for everyone. But it’s very difficult to find one community that has benefited. Some “outgrower” schemes look quite good. This is where companies guarantee the market for small farms, after giving them seeds and help. But these work best alone, not together with buying large areas of land. In other areas of East Africa, there’s more evidence that big farms fail badly. A recent study of the Awash valley in north-eastern Ethiopia found that the new state sugar and cotton farms earnt less money than the farmers who worked on the land before. Mozambique’s ruling party FRELIMO was Socialist, so they like mechanized farms. But the government gives different messages about large-scale investment. On one hand, it’s enjoying being a development success after years of civil war and poverty. People say Mozambique is one of the African lions. It is desperate for modernization and its economy is growing at seven per cent. On the other hand, it has passed (in 1997) the most progressive community land rights law in Africa. But in practice, rights do not stop people being forced to leave their land. Politicians also take over large areas of lands themselves; companies get lots of tax breaks and the land is very very cheap - only 40 cents rental per hectare. District government officials are becoming more unhappy about conflicts with investors in places like Chiure. But Jacinto Tualufo, the head of the office in Maputo that organises the requests for land, says that there are more applications now for bigger areas of land. ‘We must get this investment,’ he says. ‘If we are afraid of development, we will lose these opportunities’. By selling rights to the land, they hope that poor people will get more money in the future. There is little to show this might happen yet. Mozambique’s GDP is increasing, but the poverty is not getting less; rural poverty is increasing in some areas. Corruption is also increasing. The big test for the government now is how it will manage resources – and the many people who have had to leave their land –after the recent discovery of lots of coal and gas. Many different companies are trying to get control. Another big threat is the ProSavana scheme. ProSavana - Africa’s biggest land grab? ProSavana is an very big project. The idea for it came from the transformation of Brazil’s biodiverse grassland into what writer Fred Pearce has described as ‘the biggest commercialized monoculture on earth’. The Mozambican government first offered 14 million hectares of tropical savannah, all across the middle of the Northern regions. They say it will be good for everyone. Brazilian agribusiness will grow crops for export to Japan. Mozambique gets some low-wage jobs and foreign currency. But the land they want is also home to hundreds of thousands of farming families. Civil society has raised the alarm. The National Peasants Union (UNAC) says many people will have no land, many people will have to leave the area and the environment will be destroyed; it is organising social movements in both Brazil and Japan. Many people have criticized ProSavana, but they say they are working together with with Mozambican small farmers. It’s not clear how this will fit in with the programme’s $2 billion investment fund for large-scale projects. Will Mozambique be the future of industrial agriculture? ProSavana knows it will have problems getting large areas of land. But already, family farmers who live in the target area are being told to move. It’s not difficult to see why Mozambique might want to pay others to produce its agriculture. Small-scale farming is not very successful. About 35 per cent of people live in hunger all the time. Farmers work hard with no machinery, but they produce the lowest amount in southern Africa. Mozambique has 36 million hectares of land to farm, but it imports more food than it exports. But traditional farming needs a chance. Smallholders have been ignored for 20 years – because of structural adjustment programmes by the World Bank and International Monetary Fund. It would be easy to increase production by supporting farmers. And there’s a lot of evidence that small commercial farms with a lot of jobs can be more productive as well as help poor people. Forcing millions of people to leave their land – the people who grow 70 per cent of the world’s food – is a high-risk experiment. The poor of the world are suffering. The jobs that agribusiness promised have never appeared. And it is unlikely that the people who now have no land will get jobs in industry. If they give up their control of land, this will not help the poor. Instead, communities need investment and protection. At least we know that campaigns are beginning to help and have stopped many problematic agreements. Companies are trying harder than ever before to get more land and resources in the Majority World. It’s time to stop hoping that big business will solve the problem; it won’t. We need to get rid of big business: give people land rights, invest in the family farms. If not, the land crisis will increase and there will be more conflicts; we will have a difficult future. This page was last edited on 8 February 2015, at 20:01.